. @CraigCasino1 leads as 13 entrants survive Day 1a of the $1,650 @HPTPoker @Gates_Poker Main Event. The first of three starting flights for the $1,650 HPT Black Hawk Main Event drew 81 entrants while the rest of the world participated in Valentine's Day. Fifteen levels of action trimmed the field to 13 remaining players with Craig Casino leading the field. Casino, the HPT's all-time money winner, finished the night with 438,000, Nick Pupillo finished second in chips with 389,000, and Pierce McKellar rounded out the top three with 273,000. 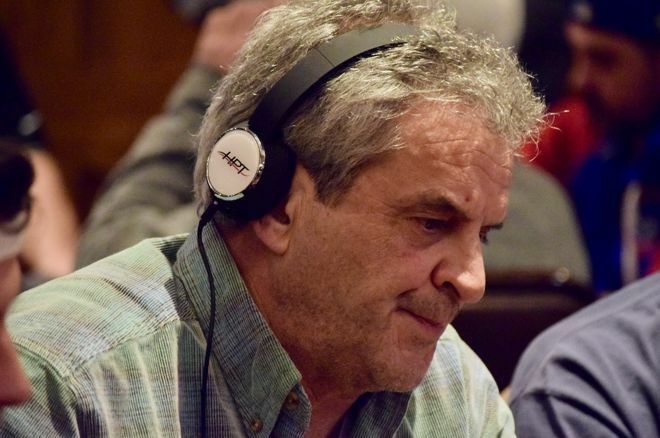 WSOP bracelet winner John Beauprez lost a big hand on the final hand of the night, leaving him only with a couple of blinds and he elected to surrender his stack and try again. Casino had a wild day where he was down to just 6,500 at one point. He tangled with two big stacks - Jason Mangold and Daniel Carrales - where he came out on top. Casino would've bagged even more if not for getting unlucky in thv last level. That is when Craig Duberstein opened to 12,000, Casino raised to 40,000 on the button and Dubberstein moved all in. Casino called and the hands were flipped up. The board ran and Casino sent a stack of chips across the table. HPT veterans Ed Sebesta and Ossama Estafanous both joined the field but did not make it to Day 2. HPT on the High Seas winner Marty Gorenc played deep into the day but will have to return to make another deep run. Likewise, David Levy fell on Day 1a when open-shipped from under the gun for around 30,000 and action folded around to Jordan DeGrenier, who called off with a shorter stack. The board ran , DeGreneir doubled, and Levy was left with just 4,900. He was in the big blind on the next hand with 4,000 committed to the pot. DeGrenier battled Casino and Syd Masters for a side pot and ultimately eliminated Levy. The surviving players return Sunday at 11 a.m. where the field will make the money and play down to a final table. Friday and Saturday will each host a starting flight kicking off at noon, with Saturday's field expected to be huge. You can follow all of the action in the PokerNews Live Updates here.